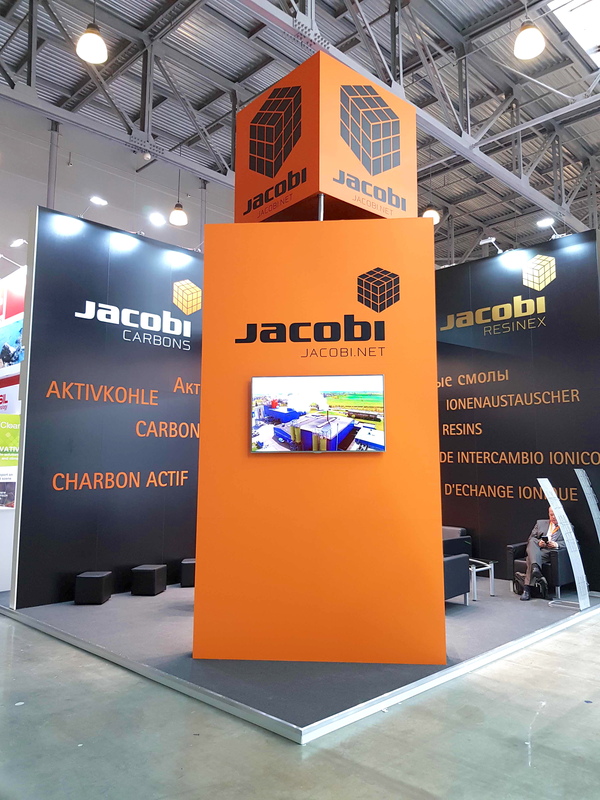 From Tuesday, 25th to Thursday, 27th September 2018, ECWATECH – the leading international water show in Eastern Europe took place at Crocus Expo in Moscow, Russia. 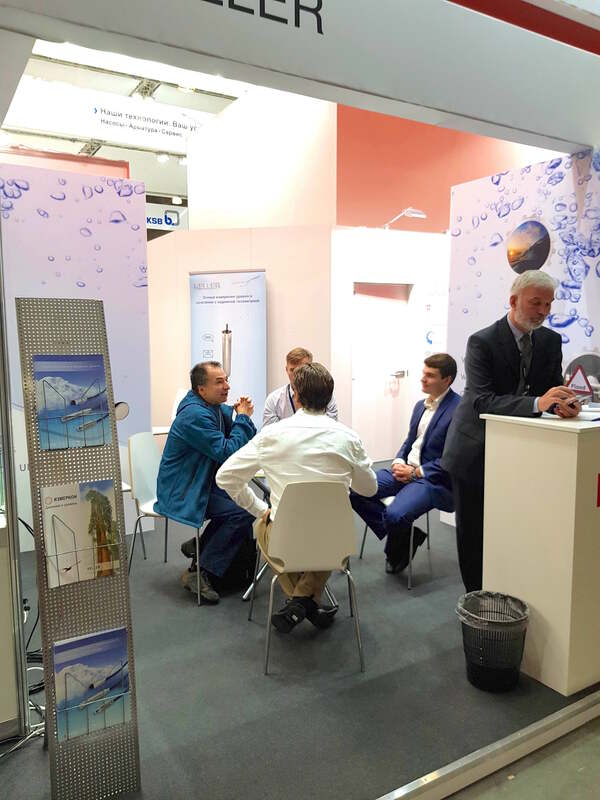 From Tuesday, 25th to Thursday, 27th September 2018, ECWATECH – the leading international water show in Eastern Europe took place at Crocus Expo, Pavilion 1 (Halls 1, 3, 4) in Moscow, Russia. 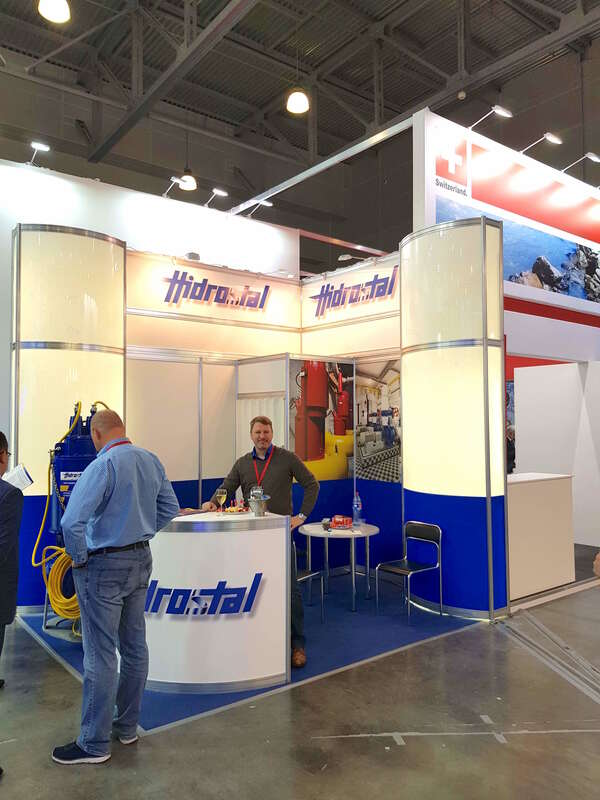 The industry’s central manufacturers and service providers presented contemporary technologies and solutions for municipal and industrial water supply, water treatment, sewage treatment, water disposal, sludge management, as well as for the construction and operation of pipeline systems. 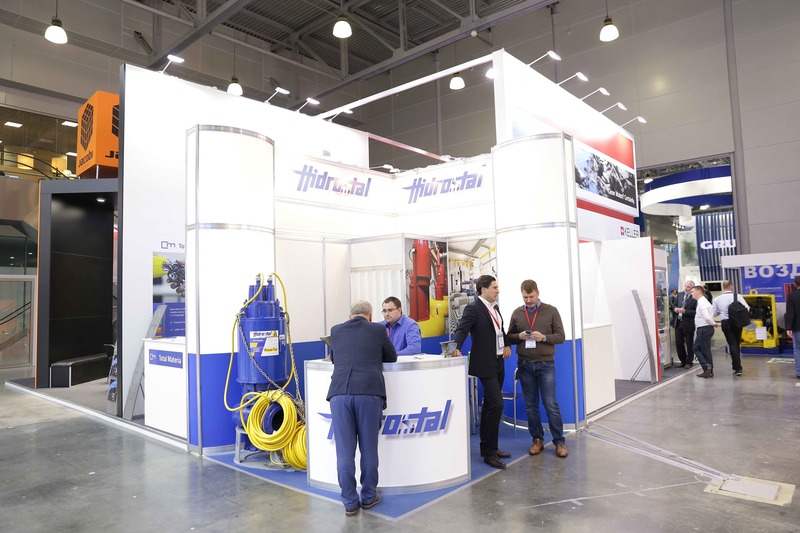 The 13th international trade fair and congress organized by Reed Exhibitions Russia was complemented by 8 conference program events. Besides the Swiss Pavilion the national Pavilions of China, Czech Republic, Germany and Italy (new) joined the exhibition this year. In 2018, this interesting trade fair attracted 486 exhibitors and 10’890 visitors (+ 8.1% in visitor numbers compared to 2016). 215 of the 486 exhibitors were international exhibitors from 24 countries besides Russia. 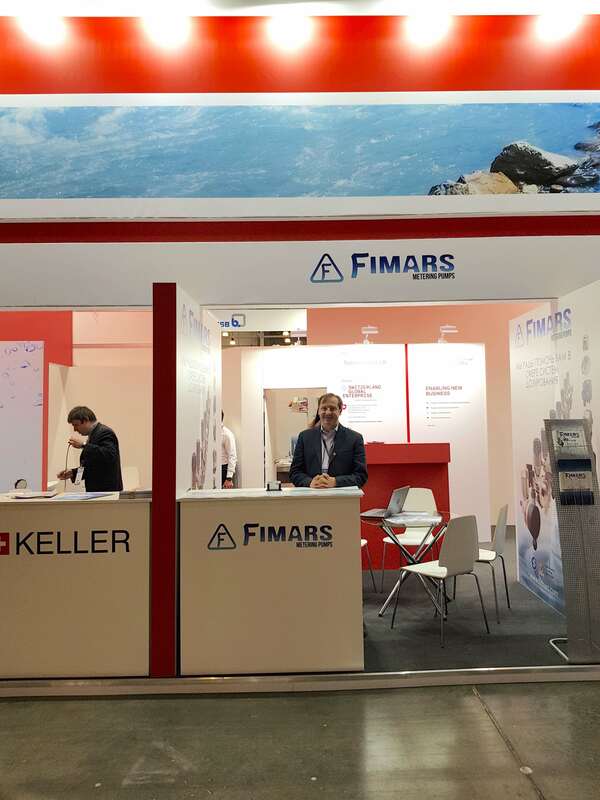 The Swiss companies on the Swiss Pavilion were satisfied with the exhibition. After a slow first day, they met a very good number of interesting visitors and potential buyers on the second and third day of the show. 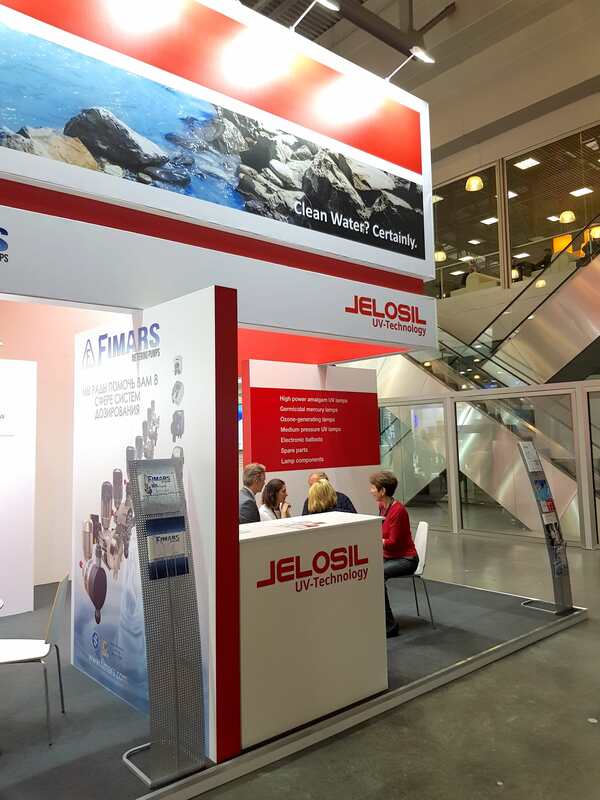 This applies to all Swiss co-exhibitors from Fimars SA, Jacobi Carbons AG, Jelosil UV-Technology SA, Hidrostal Pumpenbau GmbH, KELLER AG Druckmesstechnik to Key to Metals AG, according to their personal statements on-site and afterwards. 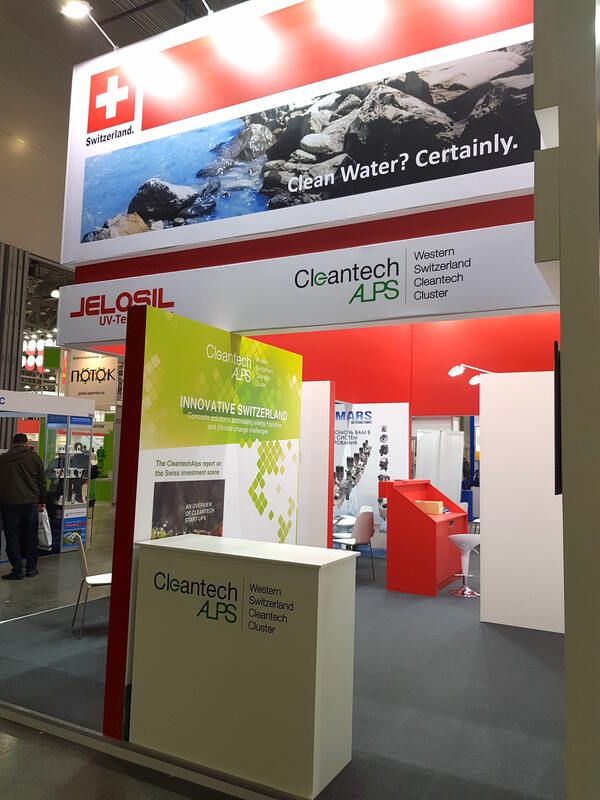 A special feature at the Swiss Pavilion this time was the specially-built stand for our general supporter CleantechAlps. CT-Alps is a Swiss network, the main contact for cleantech matters in western Switzerland with the aim to promote western Switzerland as a center of excellence for clean technologies in order to encourage the development of its companies and research institutes (further information is available on CleantechAlps’ website). On the 2nd day, the 26th September, the exhibitors of the Swiss Pavilion received an on-site visit by 2 Embassy Representatives, Ms. Elena Perova and Mr. Lorenz Widmer (Head of Swiss Business Hub Russia). 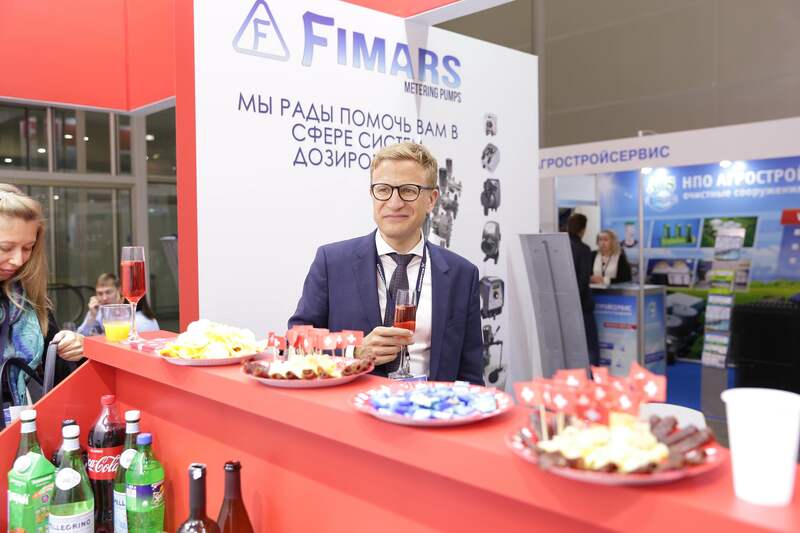 The dinner reception at Mr. Widmer's residence in Moscow's city centre on Thursday evening, 27th September was a social highlight and very much appreciated by the Swiss co-exhibitors, who gladly joined the event. 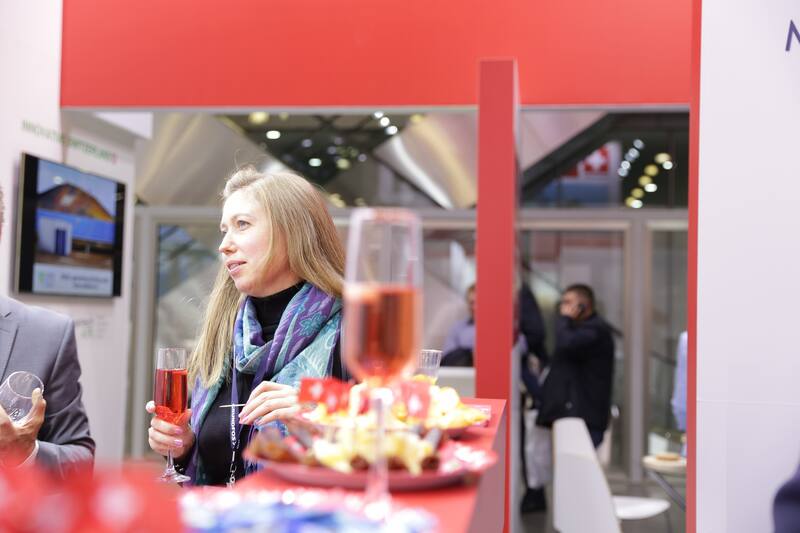 At this point, we would like to cordially thank the Swiss Embassy in Moscow for their continuous support of our projects in Russia and the interest and support they show to the Swiss companies at the Pavilion. 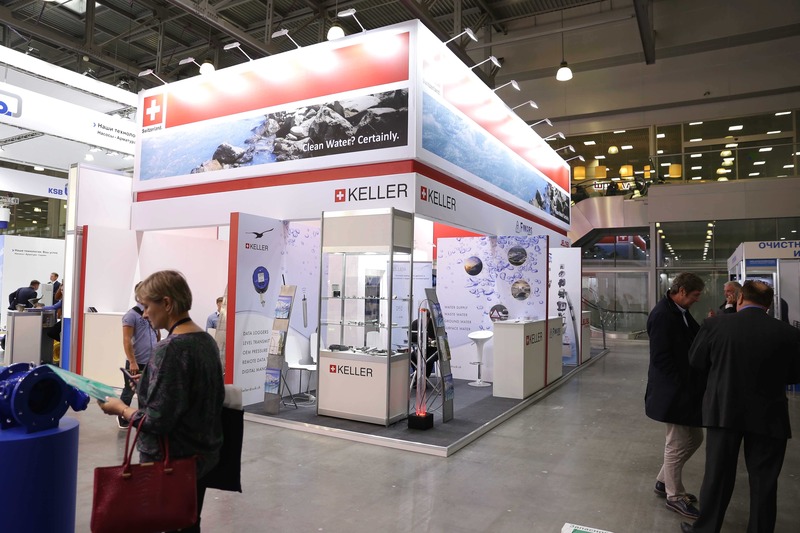 We would like to thank all co-exhibiting companies for joining the Swiss Pavilion this year in Moscow and wish them well for their further business collaborations in this region! We would further like to thank the organizers of the show for their tireless support and excellent cooperation. We are looking forward to welcome everyone at the Swiss Pavilion at the next ECWATECH from September, 29th to October, 1st, 2020!